North Free­dom Repair is a fam­i­ly owned and oper­at­ed auto repair and truck repair ser­vice that has been in oper­a­tion since 1994. 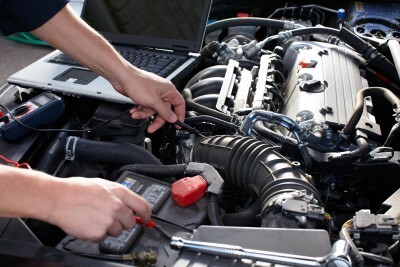 In addi­tion to auto repair, we spe­cial­ize in diesel engine and truck repair. As an auto repair Bara­boo shop, we are locat­ed in North Free­dom just out­side of Bara­boo. And because we are close to Lake Del­ton, Loganville, Prairie Du Sac, Reeds­burg, Rock Springs, Sauk City and Wis­con­sin Dells, North Free­dom Repair is near you. For direc­tions or a map to our auto repair shop, please vis­it our con­tact page. We believe that hon­esty and integri­ty are impor­tant attrib­ut­es for any busi­ness. We are com­mit­ted to pro­vid­ing supe­ri­or auto repair ser­vice to our cus­tomers. We thus respect and val­ue our cus­tomers and believe peo­ple should under­stand where car repairs are need­ed to be made before they spend their hard earned mon­ey. Domestic and Foreign Auto Repair and Diesel Engine Repair. At North Free­dom Repair, we ser­vice both domes­tic and import­ed vehi­cles. This includes domes­tic and import­ed cars, motor homes, and trucks. We fur­ther spe­cial­ize in per­form­ing all minor and major diesel repair on Ford, GM & Dodge trucks. Certified Auto Technicians. State of the Art Technology. We have cer­ti­fied auto tech­ni­cians and state of the art tech­nol­o­gy. Our Auto Repair Bara­boo ser­vice area includes Bara­boo, Rock Springs, Reeds­burg, Loganville, Sauk City, Prairie Du Sac, Lake Del­ton, and Wis­con­sin Dells. Ask us about our pick up and deliv­ery ser­vice.